To elevate and advocate for the community of craft spirits producers. Ever hear the term “Edit Your Life”? Recently I was reminded about the need to be both focused and disciplined to remove those non-essential tasks/projects/activities. Sometimes, in an effort to do it all, we pay a cost. So how do you decide what is important? How do you determine how to spend your days? How do you calibrate ROI? ACSA continuously evaluates what might be most important for you, our members. In fact, next month, look for and complete a member survey to help us identify how we use our staff and financial resources to best service your needs. Here’s your action items for this month; we’ve made it simple. To help you better focus and run your business, register for the Distillery Safety Management 101 Program, designed to guide operations at your facility (and direct your people), consistent with best safety practices. There is perhaps no other offering as important as this class. The big brands pay large dollars for the content that we deliver to you at a fraction of the cost. Why? Because it gravely matters. Can you afford to miss this? 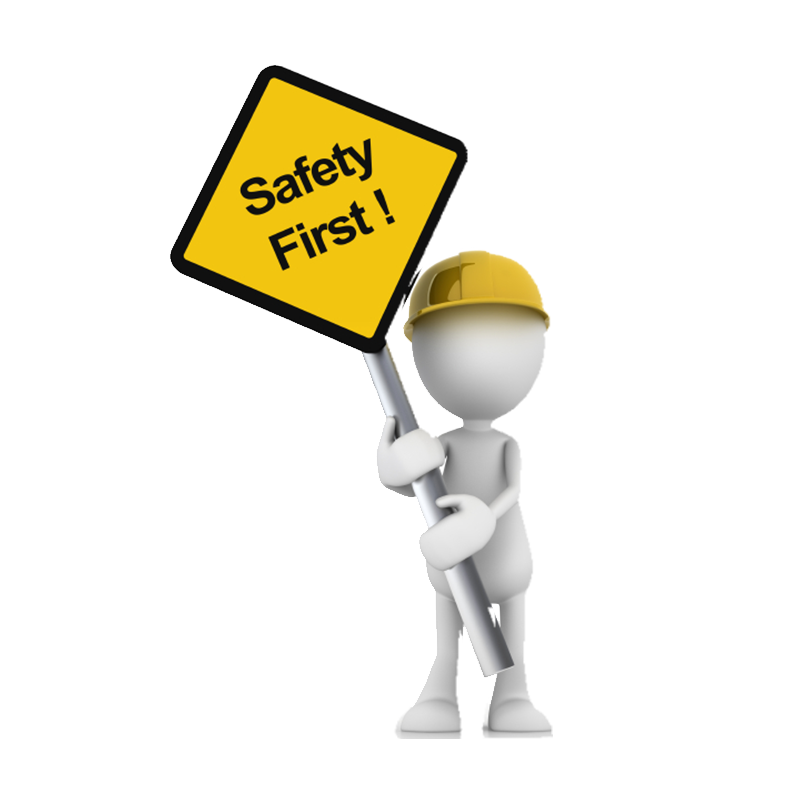 Having a strong safety program at your distillery is priceless, right? Have you registered for the 2019 convention yet? We offer the most comprehensive technical educational programs for both the novice and experienced craft distiller. Don’t go it alone but learn from the experts. Once your product is perfected (is it really ever though?) we show you how to market and distribute to increase revenue streams. 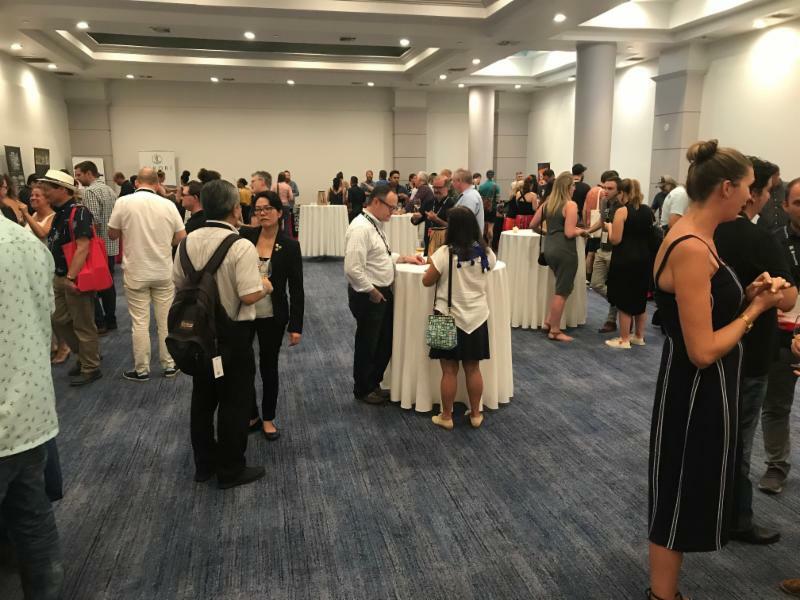 Perhaps most import is giving you the time (and social networking opportunities) to sip a cocktail and learn from one another. New this year during our Craft on Ice is HOCKEY! Come play against our industry members and/or watch how the pros get it done. Stay informed , while getting to know the ACSA Board of Directors. We continue our series of new Board member Q&As this month with Ryan Christiansen of Caledonia Spirits. While we’ll continue to focus on your professional life, it’s up to you to look at your personal self. 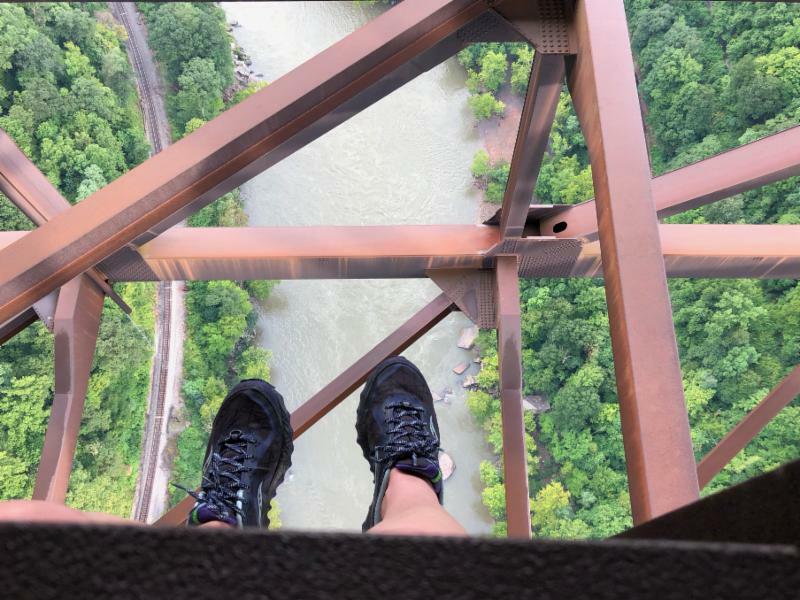 A staff retreat (see our team building exercise) gave us time to reflect on balance and how we might achieve the same. Here’s to living a full (and edited) life! 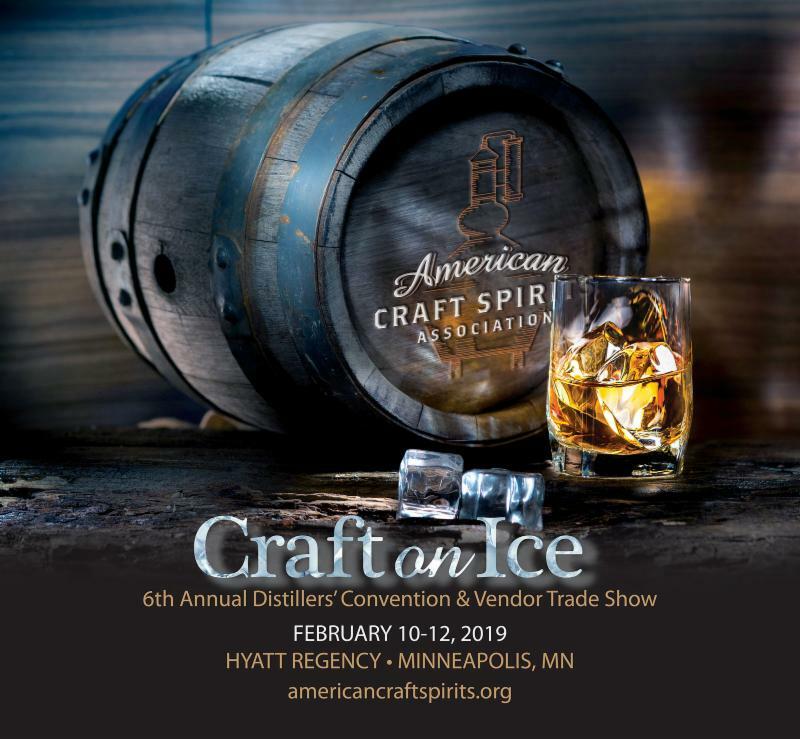 Registration is now open for the 6th Annual Distillers’ Convention & Vendor Trade Show at the Hyatt Regency Minneapolis. Join fellow producers and other industry experts for the largest gathering of licensed craft spirits producers in the U.S. Register now to take advantage of our early-bird registration rates and discount room block! Additionally, exhibitor registration is now open for those who wish to exhibit at the vendor trade show. 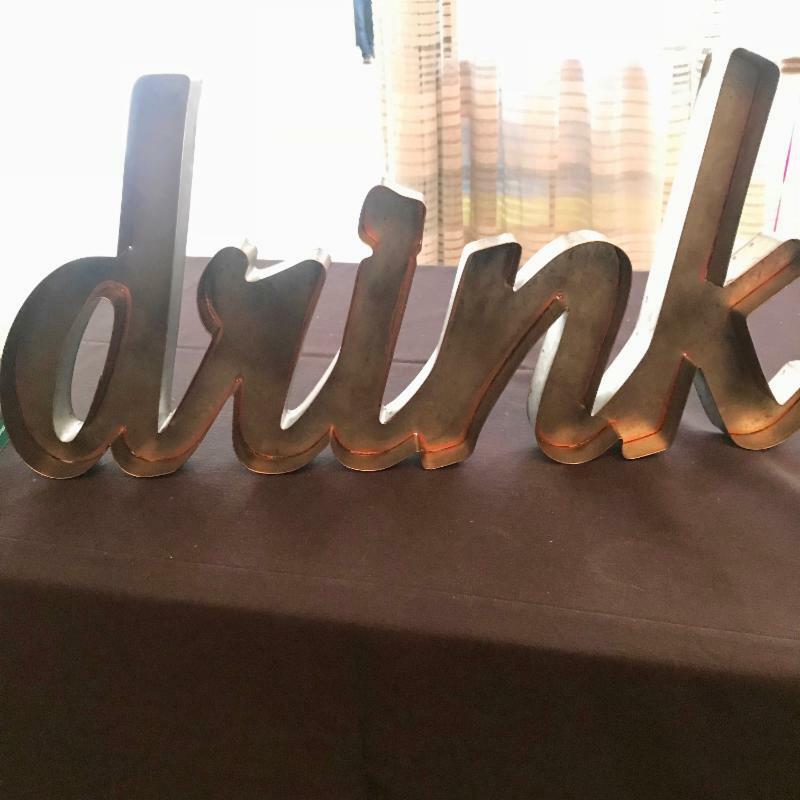 We offer 8’x10′ single booths and 8’x20′ double booths where suppliers to the industry can showcase their products, services and solutions before a gathering of craft spirits producers from across the country. 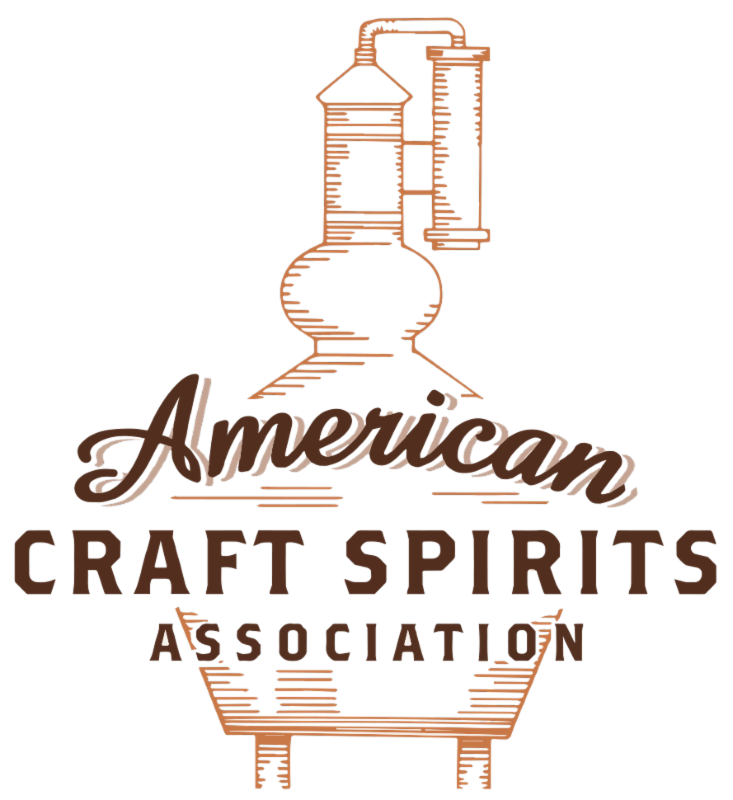 Our American Craft Spirits Association members have a duty to the craft community and the public to be honest, ethical, and accountable producers and promoters of quality spirits. ACSA members must strive to produce the finest quality products while also raising the bar for transparency and accountability in the spirits market. Deceptive marketing, repackaged low-quality products, and spurious claims of authenticity blur the already crowded spirits market and make it difficult for consumers to find products aligned with their tastes and interests. ACSA members believe that our marketing and promotions should be honest and clear, and our production processes should precisely mirror any claims about what’s in the bottle. 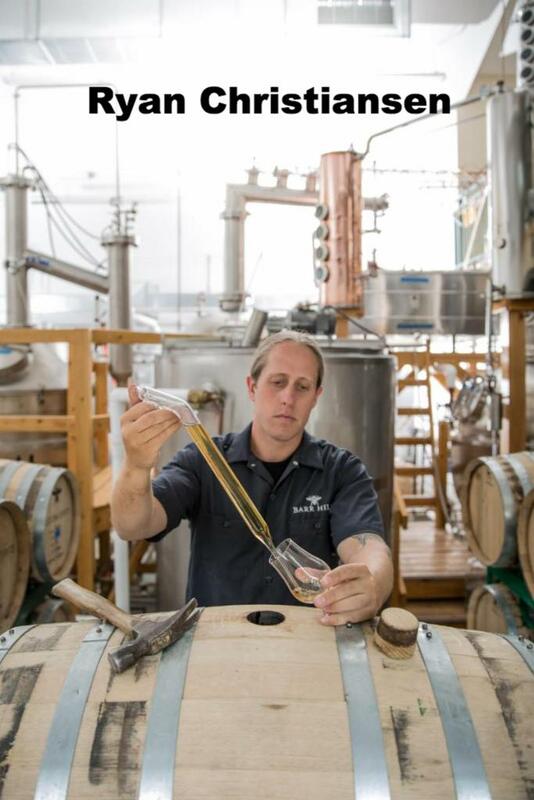 Distilled spirits production is a highly regulated industry, and ACSA works closely with regulators to provide members with accurate information, via our year-round educational offerings, to assist members in compliance with federal rules. ACSA members are further committed to additional self-regulation as each member distillery agrees to our code of ethics, which includes a review by an ethics committee of their peers to resolve any issues relating to the integrity of their products or practices. We are very happy to announce that our newly designed ACSA website now allows complaints about a member company to be filed through a simple and confidential online form right on the website that only takes minutes to fill out. Please explore the new ACSA website as this is just one of the many new upgrades now available. 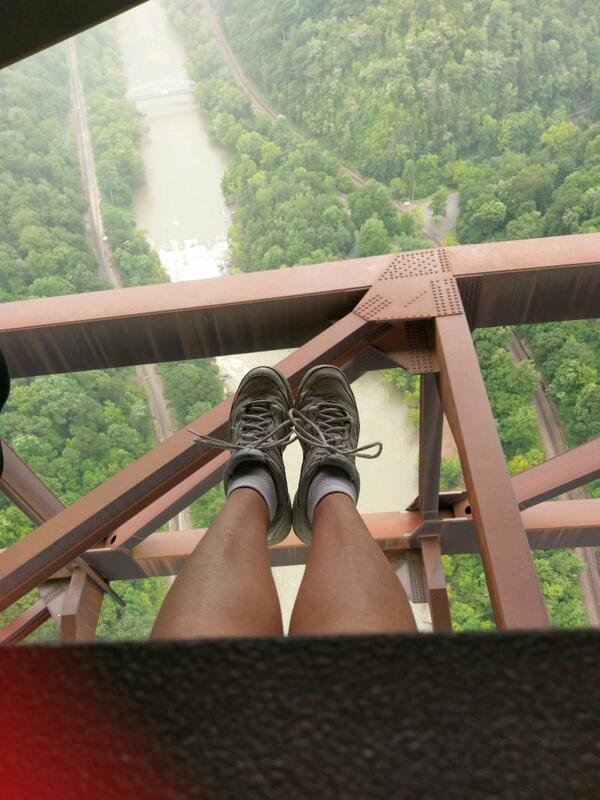 In early August, ACSA held its staff retreat in Fayetteville, West Virginia. We dug deep to find a collective vision on how we plan for and execute the goals in ACSA’s Strategic Plan, specifically: 1. Building Membership; 2. Improve Governance ; 3. Drive brand awareness and political clout ; 4.Promote/create favorable environment for members. 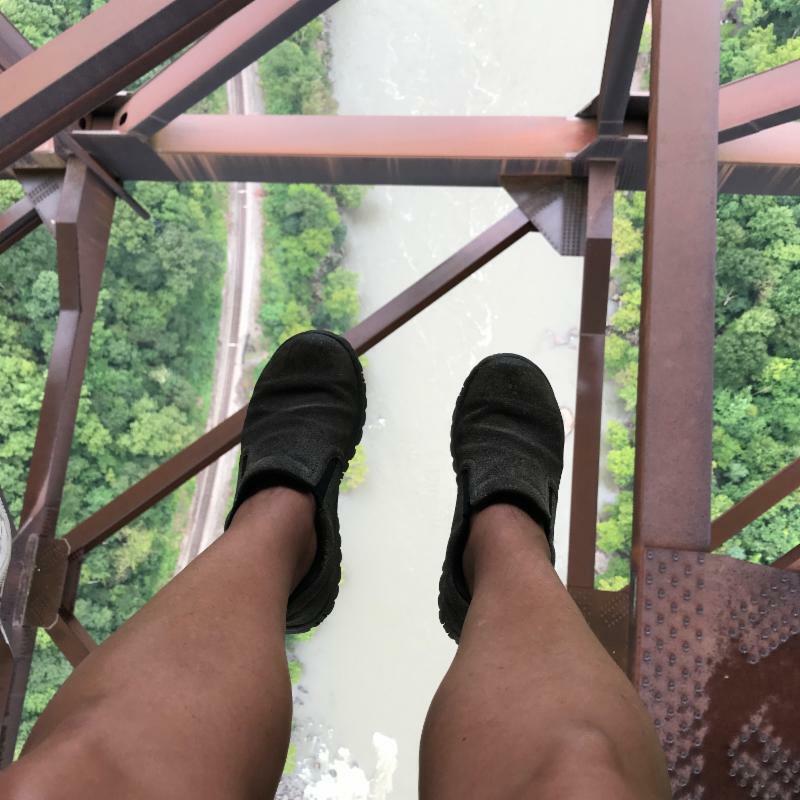 After hours of flow charting and brainstorming and identifying those things that fuel ACSA’s DNA, we took time to “relax” on a two-foot catwalk over a river gorge some 850 plus feet below where we were walking (cabled to the iron bridge above). 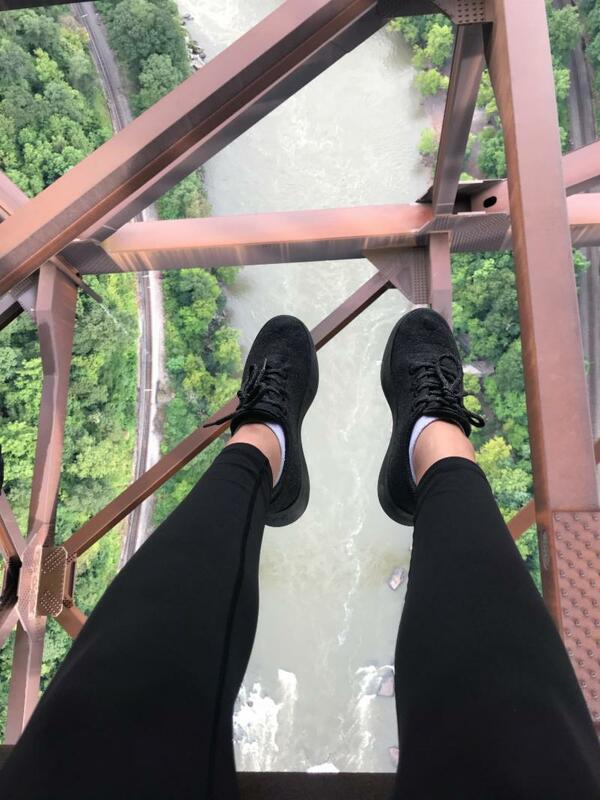 Can you match the shoes to our team of Margie, Teresa, Kirstin or Carason? Has the U.S. position on trade impacted your export plans for the remainder of 2018? Has the U.S. position on trade impacted your export plans for 2019? If you export, do you expect a decline in overall sales? If you answered “yes” to the previous question, how much of a decline do you expect? Have trading partners asked you to lower your prices? Mark your calendars for these upcoming educational opportunities! Site plan review, development review and design review. Prior to becoming an attorney, Tran-Caffee served as a Policy Consultant for the City of San Jose Housing Department, where she advised on housing policy. 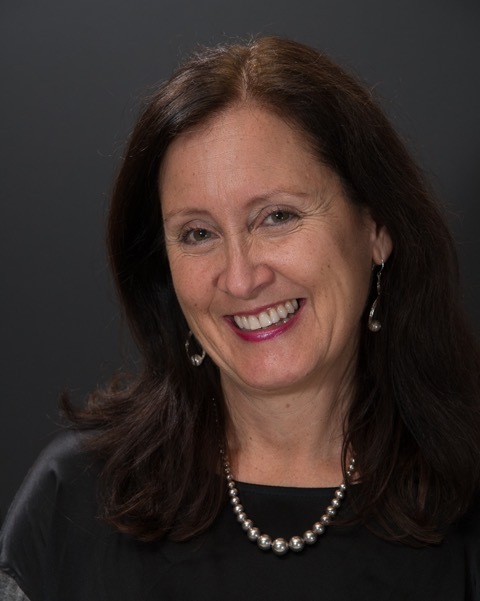 She also worked on planning and housing issues in the nonprofit sector. 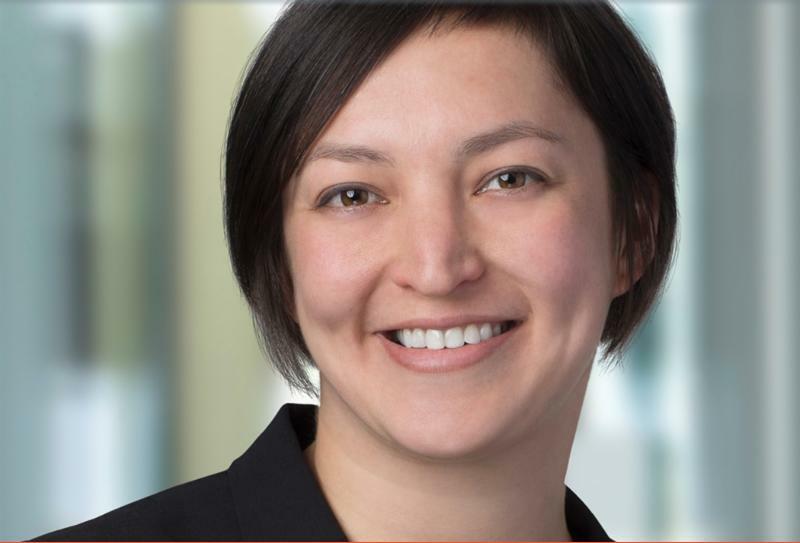 This experience coupled with her master’s degree in public policy plays an integral part in her legal practice. How Much: $39 for ACSA members and $59 for non-members. To receive the member discount make sure you’re logged in at AmericanCraftSpirits.org. Join us as we head to Long Beach, California for our next Regional Education Program, Thursday, September 6 to Friday, September 7. ACSA has partnered with Industrial Safety and Training Services to present “Distillery Safety Management 101.” Learn about hazard recognition, requirements of written policies, regulatory training, general OSHA compliance and much more over the course of two days. The registration fee is $399 for ACSA members and $699 for non-members . The fee for any additional participants from your company is $299 for members and $529 for non-members. Mark your calendars for the East Coast edition of “Distillery Safety Management 101,” November 14 & 15 in Orlando, Florida. We will be announcing registration and accommodations information very soon. ACSA member distilleries were among the star attractions at last week at BevCon, the fast-growing, industry-only event that brings together professional bartenders, sommeliers, buyers, beverage producers, distributors, importers, media, marketing and public relations professionals from across the U.S. and abroad. 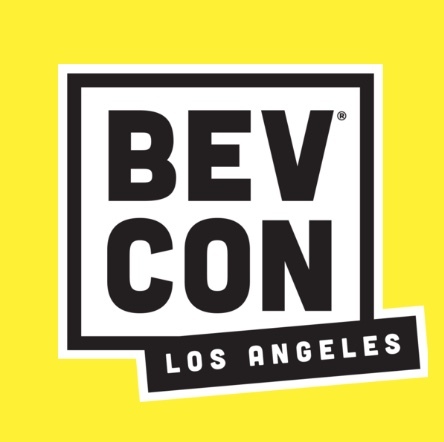 BevCon launched in Charleston, South Carolina, two years ago but moved to Los Angeles for the 2018 edition. Participating members included Backwards Distilling Co. (Mills, Wyoming), Blinking Owl Distillery (Santa Ana, California), Caledonia Spirits (Hardwick, Vermont), CALI Distillery (Los Angeles, California) Copper & Kings American Brandy Company (Louisville, Kentucky), FEW Spirits (Evanston, Illinois), House Spirits Distillery (Portland, Oregon), Osocalis Distillery (Soquel, California) Wigle Whiskey (Pittsburgh, PA) and Republic Restoratives (Washington, D.C.). Backwards Distilling, Blinking Owl Distillery, CALI Distillery and Republic Restoratives had the added distinction of having won the ACSA raffle for slots at two separate tasting events. On Sunday, August 19, teams from Backwards Distilling and Republic Restoratives served up cocktails showcasing their spirits at one of BevCon’s on-site bars. Backwards poured the Miss E. Callhoun, whose recipe combined the distillery’s Milk Can Cinnamon Moonshine with blackberry and lemon; Three Brazilian Tigers, with Backwards Contortionist Gin, lime and condensed milk and Feats of Strength, with Strongman Gin, Pineapple Juice, lime juice, simple syrup and black pepper. Republic Restoratives offered a variety of concoctions with its CIVIC Vodka, Borough Bourbon, Rodham Rye and Chapmans Apple Brandy. The education program featured presenters from a number of ACSA member distilleries, including Christian Krogstad, Erin Hayes and Jordan Felix from House Spirits; Joe Heron from Copper & Kings, Dan Farber from Osocalis Distillery, Paul Hletko of FEW Spirits and Teresa De Flitch from Wigle Whiskey. 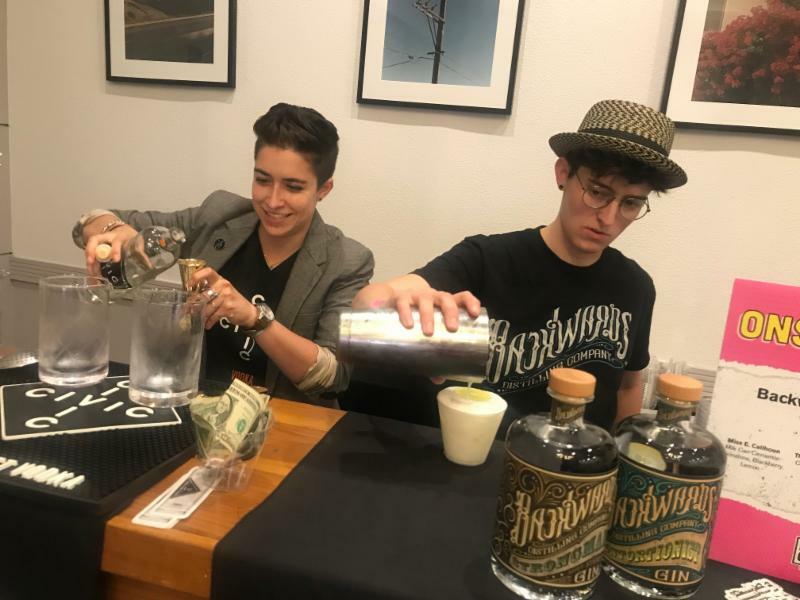 Blinking Owl and CALI Distillery poured their spirits at the Tuesday, April 21 edition of Meet the Makers —the spirits-focused tasting event, following Monday’s wine-and-beer-centric installment. Blinking Owl, the first legal distillery in California’s Orange County since Prohibition, showcased its Vodka, OC Orange Vodka, Gin, Old Tom Gin and Aquavit. “We’re taking a very wine-maker-driven approach to our spirits, in terms of terroir, and we’re trying to represent the state where we distill everything,” says Blinking Owl founder & CEO Brian Christenson. 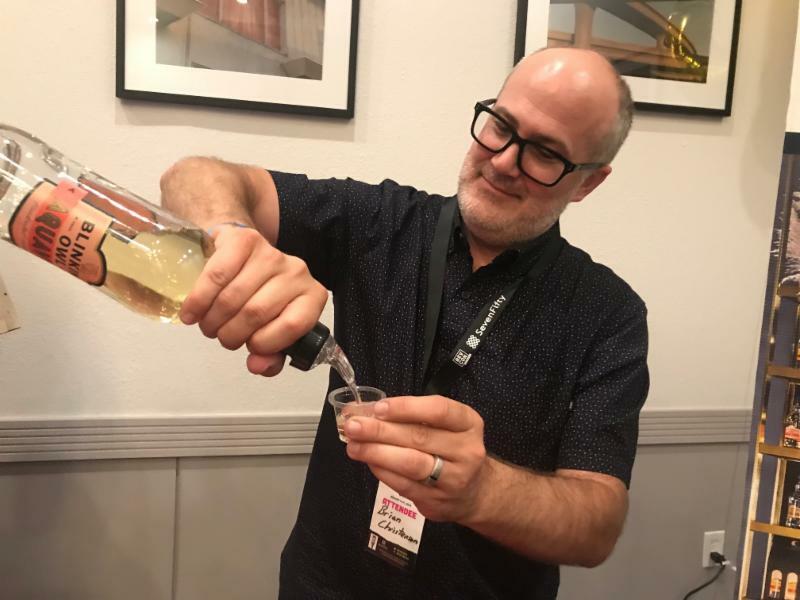 Aquavit is still a largely unknown category for most American consumers, but Christenson says that’s changing, thanks in part to events like BevCon. “We’re definitely seeing it grow—it’s our most popular product today,” Christenson says. 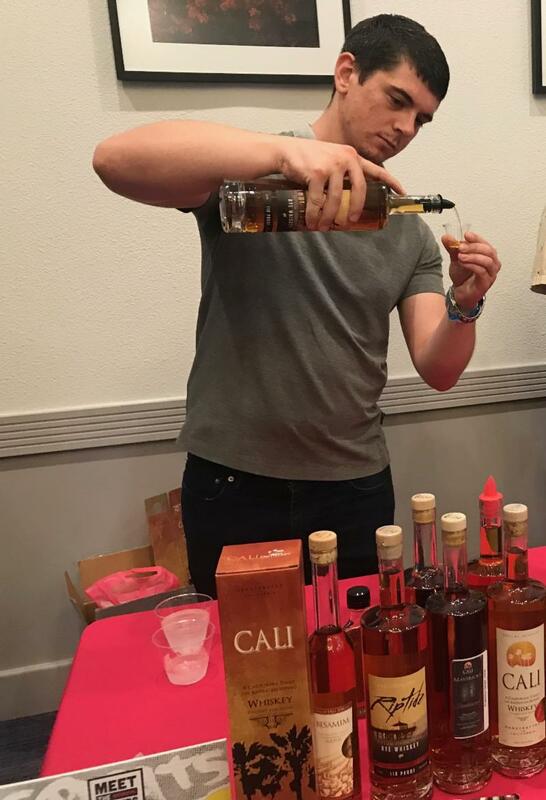 CALI Distillery’s brand manager Chris Diedwardo sampled a wide selection of spirits from CALI’s portfolio, including CALI California Sipping Whiskey, Riptide Cask Strength Rye Whiskey, Mavericks Doublewood Small Batch American Whiskey, Sukkah Hill Spirits Etrog Liqueur, Sukkah Hills Spirits Besamim Liqueur and Mavericks Eighty Eight. 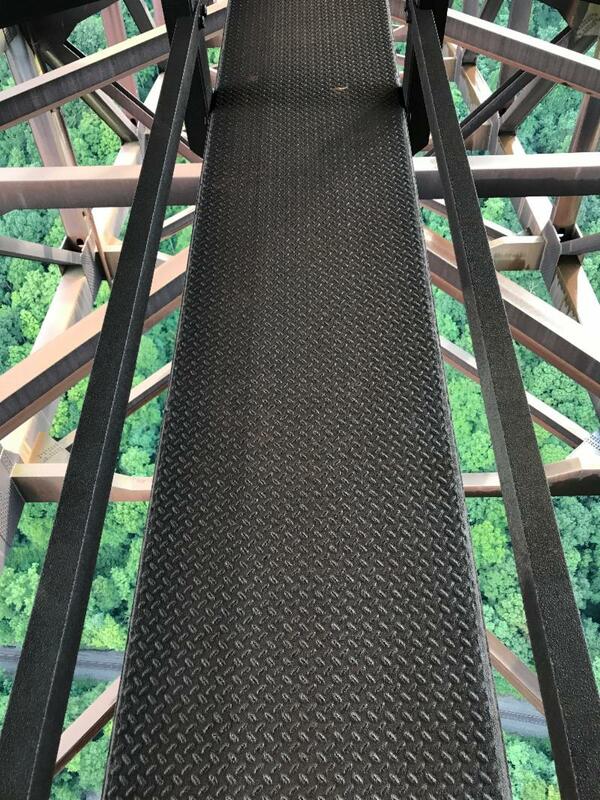 “What we’re hoping to do here is connect with industry professionals and help expand our footprint, essentially, whether it be the L.A. area or people who are traveling from out of state,” Diedwardo says. The big news coming out of Wiggly Bridge Distillery this year was that the York-based producer filled its 500 th barrel back it May at a ceremony that allowed ticket holders access to bottles of that barrel’s bourbon, once it’s released in 2022. In addition to whiskey, the distillery also produces rum, vodka and gin. 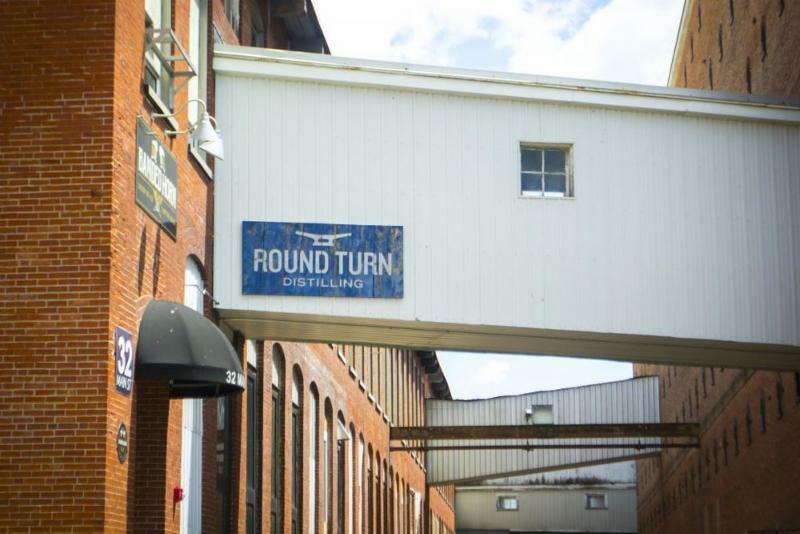 North of York, in Biddeford, Round Turn Distilling has been racking up the medals for its Bimini Gin, whose name was inspired by an old Ernest Hemingway haunt in the Bahamas. Founder Darren Case crafts Bimini in a 150-year-old building that was once a textile mill about five miles from the coast. Head a little farther up that coast and you’ll reach Maine’s most populous city, Portland, home to Stroudwater Distillery, another producer that makes good use of a repurposed industrial building from the nineteenth century—in this case an old brick train depot. Two full bars in the spacious, 1,800-square-foot tasting room serve up the distillery’s vodka, gin, bourbon, rye and rum. Stroudwater is part of a mini craft beverage district of sorts, as it’s neighbors with Bissel Brothers Brewery and Cellardoor Winery. Portland’s also home to one of two locations for Maine Craft Distilling (the other its its tasting room in nearby Freeport). The distillery and bar in the city covers most of the major spirits categories with its farm-to-flask products. Among those are Fifty Stone Single Malt Whiskey, distilled in the fashion of a Highland Scotch whiskey, Blueshine Blueberry Moonshine and Black Cap unaged barley-based spirit, as Queequeg Spiced Rum and Ration Expedition-Style Rum. Rum just happens to be the core focus of Sebago Lake Distillery, in the town of Gardiner, about 30 miles north of Maine Craft Distilling’s Freeport tasting room. Flagships include Original Rum, the dark, molasses-forward Spider Island Rum and KOPI Coffee-Flavored Rum, which infuses custom-roasted Indonesian Sumatra beans. Maine—particularly Portland—is home to some well-known cocktail bars, as well. The eclectic small plates at Central Provisions have landed it on many restaurant best-of lists, but lately, it’s been attracting as much attention for its expertly crafted cocktails. The same goes for Bramhall, which offers more of a speakeasy-type setting. In this new monthly feature, we showcase notable books of interest to the craft spirits community. 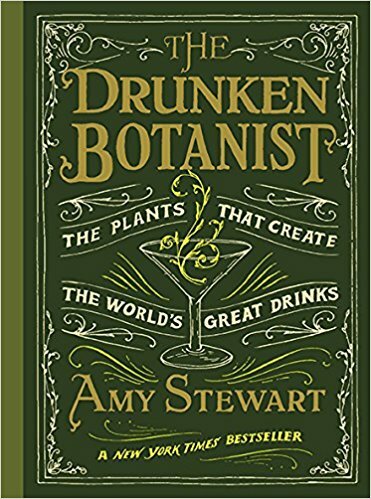 In The Drunken Botanist , Amy Stewart explores the dizzying array of herbs, flowers, trees, fruits and fungi that humans have, through ingenuity, inspiration, and sheer desperation, contrived to transform into alcohol over the centuries. Of all the extraordinary and obscure plants that have been fermented and distilled, a few are dangerous, some are downright bizarre and one is as ancient as dinosaurs—but each represents a unique cultural contribution to our global drinking traditions and our history. 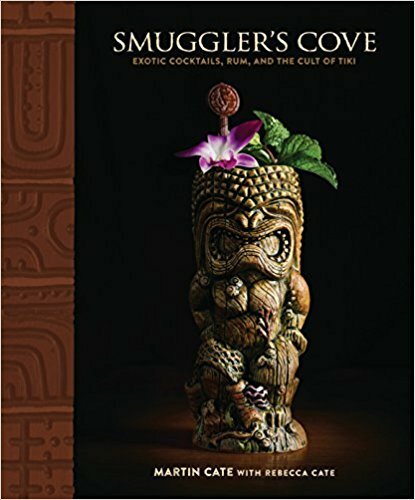 Martin and Rebecca Cate, founders and owners of San Francisco tiki bar Smuggler’s Cove, take you on a colorful journey into the lore and legend of tiki: its birth as an escapist fantasy for Depression-era Americans; how exotic cocktails were invented, stolen, and re-invented; Hollywood starlets and scandals; and tiki’s modern-day revival, in this James Beard Award-winning cocktail book. We continue our series of conversations with the newest members of the ACSA Board of Directors, focusing on some of the key issues the organization will be facing in the coming years. This month, Ryan Christiansen ( Caledonia Spirits) offers his insights. Tell us what motivated you to get involved as an ACSA board member? Ryan Christiansen: The ACSA has been an important resource and network for me since the inception of the organization. It’s an organization that has delivered so much to me and my team, that it felt important that I give back. Getting involved at the board level felt like a great way to accomplish this. Aside from making FET reduction permanent, what do you see as some of the board’s big priorities over the next couple of years? The board has several committees, all with their own projects and priorities. Speaking on behalf of the Development Committee, I see great sponsorship opportunity, and other ways to bring financial support to the group. These resources are vital to the organizational budgeting, and ultimately member experience. Our priority on the Development Committee is to build meaningful relationships with current sponsors, and identify new ways to bring resources to the organization. What are the best ACSA strategies for engaging with members and reaching out to potential new members? The best strategy for the ACSA is to continue to deliver more to its members. The clarity of mission, quality of content and openness among members makes the ACSA the premier resource for new and existing DSPs. In my opinion, the word-of-mouth advertising that stems from this is the greatest driver of access to new members. How can ACSA members and prospective members get more involved with the organization? The first step is to become a member and attend the convention. Attending the convention will be the highlight of the year for anybody new to the industry. It’s a great way to meet fellow distillers, the ACSA staff and ACSA board. What are the big craft spirits trends that you see in the next couple of years? I’m happy to see the growing popularity of farmer-distiller relationships. 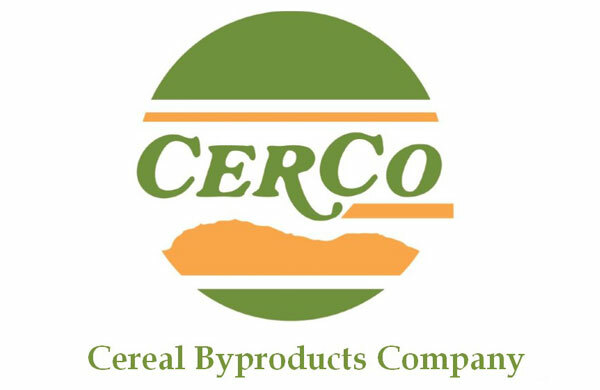 Our company began on a dream to incorporate the challenging agricultural practice of beekeeping into distilling. So the importance of our farmers is part of our company’s DNA. It’s exciting for me to travel around the country and see this becoming evermore important to the cocktail community. You still can get a copy of our first official Annual Report, which attendees received at the ACSA Convention in Pittsburgh. The report includes a look back at all of our activities throughout 2017, as well as state-specific regulatory and legislative information, highlights from the most recent Craft Spirits Data Project and ACSA’s full annual budget. 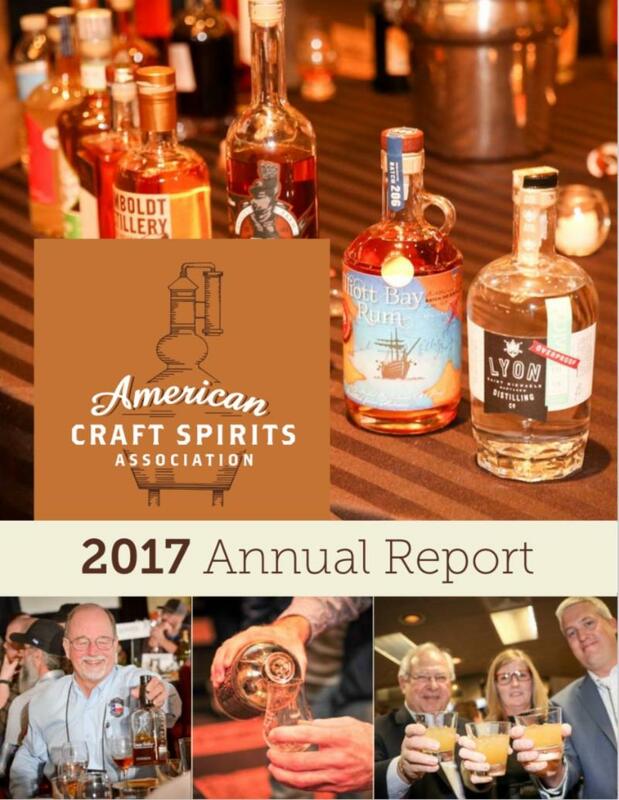 If you would like to receive a copy of the report, please e-mail Teresa McDaniel at teresa@americancraftspirits.org and be sure to include the subject line “2017 Annual Report.” Also, the report is now available for download in PDF form at the ACSA website. Welcome Newest Voting and Affiliate Members! Find out more about becoming a member here . The TTB has issued 2,745 DSPs! Find the full list here. Bourbon, rye and Tennessee whiskey have become the poster children for American distilling traditions, but most acknowledge that in Colonial times, rum was the significant tipple of choice. However, the spirit that was truly an American original—using raw materials grown on American soil and not imported, as molasses was, from tropical islands—was apple brandy. Its presence in the Colonies is believed to date back to 1630. The best-known brand from the eighteenth century, Laird’s Applejack, continues to be produced today by the eighth, ninth and tenth generation of the founding family. And you’ve heard of Johnny Appleseed, right? He wasn’t planting trees because he wanted to make pies. He had something much stronger in mind. Summer’s not over yet, but that doesn’t mean we can’t start thinking about fall cocktails. Check out an extensive collection of autumnal sips from Town & Country. Do you have a new spirit release, an upcoming event, or some news to drop? Follow our social media channels and tweet at us (@craftspiritsus), connect with us on LinkedIn, or post to our Facebook Page and we’ll be sure to share it! January 17, 2019 January 17, 2019 , Craft Spirits Weekly, News, Bently Heritage, Blaum Bros., Eight Oaks Craft Distillers, Southern Distilling Co.